Put slim-fast in that bottle! Center for Eating Disorders did a nice little piece on why our current obsession with weight, extending now to the VERY young is problematic. Consider moving away from a hyper-focus on weight, body type, BMI or any other calculator of weight. Like most efforts involved in parenting, it’s not an easy task to accomplish particularly when it seems like every newspaper article, concerned relative, or public service campaign is telling you to do the opposite. Do your best to focus instead on your child’s overall health (remembering that weight does not = health). Honor and accept your child’s natural body size and shape. Create positive goals around eating that involve paying attention to your baby’s or child’s internal hunger and fullness cues instead of relying on external messages about how much is “too much”. *The photo is me around 1 year. “Obese” by today’s standards and bottle-fed!!! E-gads! Are you a mom of an infant? Are you worried already about your child’s weight? What messages are you getting from your doctors, the media? WRM, I agree this is a terrible, medically unfounded trend. Junkfoodscience.com did a nice review a year or so ago if you want to search it. I will when I get back on my regular schedule! Thanks for the comment. Please, do feel free to share the story. Thanks for the recommendation for another strength resource. It feels like a fight all the time – fortunately, I remember my parent's stories (as do my thin siblings, who fight the same fight and have discussed this with their spouses, as they are both parents) and have my husband's full support and help in battle. Many docs are not content to promote feeding limits for babies of fat people, they want to do it in utero also. The new trend is to pressure women of size to gain nothing or better yet, to LOSE weight while pregnant….all the better to prevent obesity down the line, they say. Research shows that famine-exposed children actually have MORE problems later on with obesity, diabetes, hypertension, etc. Restricting weight gain is not the same as exposing them to true famine conditions, of course, but no one knows the possible outcomes of even mildly restrictive protocols either. My fear is that the effect will be similar. Dieting talk and restrictions do not just start with infants. These days, they start in the womb, and it gives me real concerns. Thank you for sharing my comment. I admit that I do still worry at times, especially because my daughter is still off-the-charts tiny now at 32 months, but we definitely had to find a different way. It was getting to the point where she and her brother would both cry in anticipation of a stressful dinner, and demand to be held, and I knew that meals were just making the whole family miserable. We had to make a change. These days my daughter will state that she doesn't want to eat or is not going to eat at least once during a mealtime. I see it as her way of checking that she still has control over it. I always say in a boring tone of voice, "Okay, you don't have to eat" and then turn my attention elsewhere. Then, she inevitably eats. I only found your blog recently but it has been very helpful to me to keep going this route, especially the idea that kids are inconsistent and capricious when it comes to eating, so we parents have to be consistent and non-emotional about it. I don't really remark on her deciding to eat, or praise it, I just treat it in a matter-of-fact manner. I am happy about how she is eating, in general, but I must admit I do dread every single doctor's appointment with a weight check! THANK YOU< THANK YOU THANK YOU FOR SHARING THIS< IT KEEPS ME GOING! I really appreciate these suggestions to lessen the focus on weight, especially for the very young. I have twins and my daughter was tiny from birth. She has never been on the charts and at 6 months weighed only 12 pounds, which triggered a number of GI specialist appointments, the coordination of a dietician, etc. I was nursing her but had to begin supplementing with high-calorie formula in an attempt to increase weight gain. No physical issues were ever found, and she continued to grow steadily, just…slowly. The GI doctor at one point warned me that if she didn't gain more weight, her cognitive functioning could be harmed. Of course I was terrified and this sparked a terrible pattern for us, in which I constantly tried to cajole/encourage/trick/force my daughter into eating more, and she, naturally, pushed back from day 1. It saddens me to look back on this and think that we were going through this power struggle even when she was a baby. It continued on and on, because at each appointment, she was still "not on the charts". Our doctor suggested some helpful, healthy things to increase the caloric density of her foods, but also some unhealthy things (such as feeding her Carnation Instant Breakfast, which she would never touch anyway). I had to monitor the number of calories my daughter consumed every day. On a good calorie day, I was thrilled, on a low calorie day, I was frightened, miserable, and often cried. My daughter was 16 lbs at a year and 21.5 lbs at 2 years. This intense emphasis on her weight set up a terrible relationship to food and feeding. Shortly after she turned 2, my mother located all of my baby records from birth up to 2 years. And it turns out that at every single appointment, I had actually weighed slightly less than my daughter at the same age! My husband and I are both small, slim, people. The difference is that back then, in the 70s, my doctor didn't consider it a problem, and wrote notes such as "she's doing well" or "she's fine" to my mother. At that point I realized my daughter is playing out her genetics and her well-meaning pediatrician's focus on her smallness had helped us set up a bad dynamic in which our mealtimes were disasters and my daughter wouldn't eat out of a need for control. Shortly after she turned 2 I swallowed hard, began following the Child of Mine advice, and backed way, way off. I no longer try to convince/bargain/trick her into eating. I provide healthy meals at specific times, and I allow her to eat what she wants. I don't comment on it, and I don't bribe with dessert. At first it was REALLY hard because of our historical weight issues, but I soon found that she actually eats much, much better now! She tries many more things, and her weight hasn't suffered. Now mealtime is no longer a terrible battle, and instead we can enjoy ourselves. Given how small she is it's still hard for me to grit my teeth and say nothing if she decides not to eat much at a given meal, but I try to take a whole day, or whole week approach and realize that she actually does eat a good variety of foods. Thanks so much for sharing. SO SAD that you are finding such messed up MDs. No excuse. It makes me crazy. I might just publish your comment under crazy feeding advice. Whole milk at 9 months? Bottled of water for an infant???? WHAT!!!??? There is NO evidence to support any of that. Keep up the good work advocating and protecting your child. Child of Mine is a fabulous resource and will help give you the backbone to protect your larger than average kiddo (you will need strength to feed well.) If he is big, bur his growth is steady, then keep doing what you're doing. Steady, high or low growth is OK, but weight acceleration or deceleration should be looked into. The advice you're getting sounds like great advice for conflict and with time, unhealthy weight gain… Dieting an infant is NOT ok. Thanks for sharing. Comments like your keep me motivated! Apparently, I wrote a book of a comment. Had to split it in two; here is the second half. Part of my hesitation (okay, more like deep unwillingness) to do feeding schedules and limited intake is that my parents did it with me. My father tells everyone he encounters with a baby about how I cried and cried. They followed the schedule the pediatrician gave them – so many ounces every so many hours. 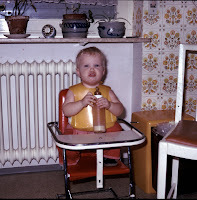 My mother pumped so they could measure the milk and later switched to formula. They took me to countless doctors, some diagnosed me with various conditions. I was "diagnosed" with a pyloric valve issue and they wanted to do surgery. There was a grandmother in the doctor's office that my parents were at to discuss this and she told my father "There's nothing wrong with that baby except HUNGER. You need to feed that baby." My father says he explained to her the feeding schedules, the pumping and measuring, the formula. She told him to "Knock that nonsense off, keep making bottles until the baby isn't hungry anymore." My father – fed up, tired and at the end of his rope went home and did exactly that. He said that it was the first night I slept at all for more than 30 minutes – he kept checking to see if I was alive. After that? No feeding schedules. I am the oldest of three children and the only overweight adult. The other two have no issues with food, exercise (as in, I require a lot of it to maintain and even more to lose) or weight. Ancedata, perhaps, but enough for me to say no to feeding schedules and metered intake. I am a mother of an 11 month old boy that lives in the Peninsula area of the San Francisco Bay Area. Oh, man have I been getting the messages. I'm fat. Not heavy, not 'overweight' – I'm fat. I weigh 275 pounds at 5'4". My husband is also fat. He's 280 at 5'10". The doctor suggested switching him to whole cow's milk at 9 months – I said that WHO didn't recommend that and I wasn't interested. He again brought up that my husband and I are fat. I asked if he would recommend that a thin mom and dad switch their higher-weight baby to whole milk at 9 months. He said no, breast was best until 2/formula until 1. I said again, that I wasn't interested in going against WHO recommendations and general practice just because we're fat. He then asked if I would be willing to limit intake. I asked if he would suggest that for a higher-weight baby of thin parents. He said no. I said, again, no. 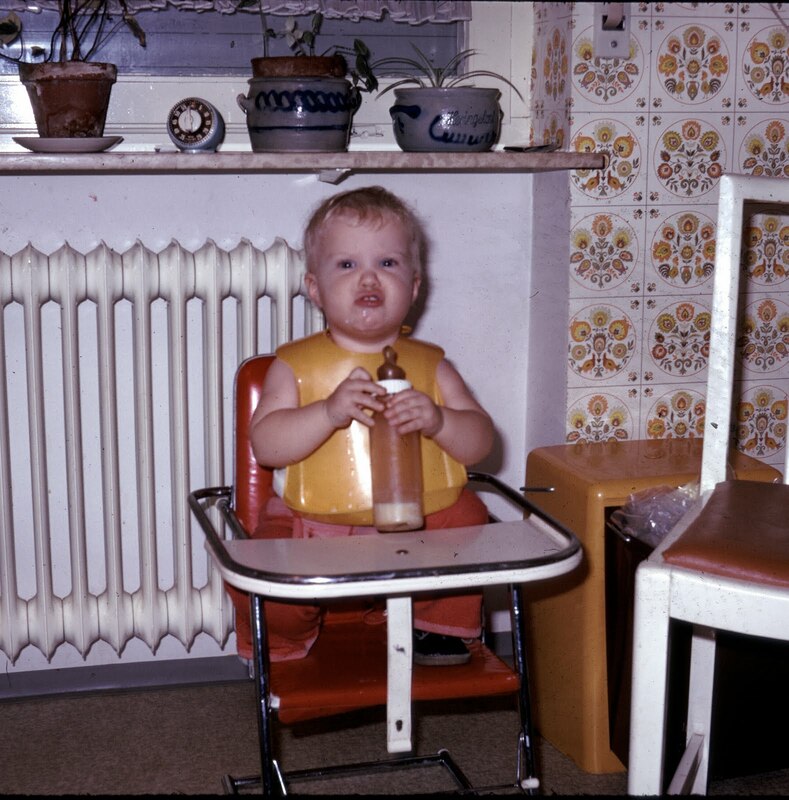 What's sad is that I have interviewed several pediatricians, all of whom want to put him on feeding schedules, limited intake, switch to cow's milk, switch to water for all but two bottles a day – I've gotten some crazy suggestions. When I ask about higher-weight babies with thin parents, they tell me that they wouldn't recommend any of this to them because "the babies will just thin out someday." My common refrain in the doctor's office these days is "What would you recommend to thin parents?" For what it's worth, my son is 97th percentile for height, 95th percentile for head size and 90th percentile for weight.